[PDF] Japanese Love Hotels: A Cultural History (Routledge Contemporary Japan) | Free eBooks Download - EBOOKEE! 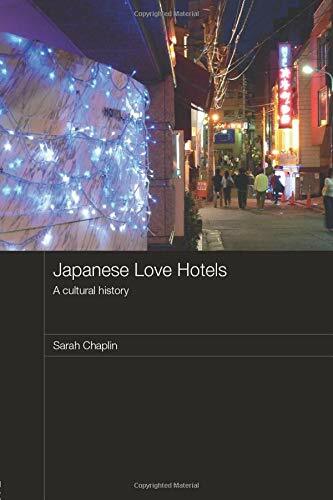 Description: Drawing on theories of place, consumption and identity, Sarah Chaplin details the evolution of the love hotel in urban Japan since the 1950s. Love hotels emerged in the late 1950s following a ban of licensed prostitution, then were extremely popular in the 1970s, were then legislated against in the 1980s and are now perceived as leisure, fashion or boutique hotels. Representing a timely opportunity to capture and evaluate the dying manifestations of an important era in Japanese social and cultural history, this book provides a critical account of the love hotel as a unique typology. It considers its spatial, aesthetic, semiotic, and locational denotations and connotations, which results in a richly nuanced cultural reading. The love hotel is presented as a key indicator of social and cultural change in post-war Japan, and as such this book will be of interest to a wide and international readership including students of Japanese culture, society and architecture. No comments for "[PDF] Japanese Love Hotels: A Cultural History (Routledge Contemporary Japan)".